So you’ve pulled it off. The caterers arrived on time, those missing chairs turned up and your great uncle contained his drunk dancing until well into the reception. Hurrah! You’re married. So now is it back to work, routine, post-wedding blues? No you get to go on honeymoon! Woohooo weddings are amazing; a massive party followed by a holiday, what a combination. Here are some ideas to help you plan your getaway, where literally you have the excuse to be as lazy, luxurious or adventurous as you like. Some couples find planning the honeymoon too much on top of all the wedding jazz and time off work might be an issue but you could always have a bit of a gap between the two and extend the good times. Your wedding should be all about bending the wedding rules to fit with you as a couple; planning your honeymoon should be loads of fun; not stressful. Do what suits you and make sure you get the trip you want. If you are planning a bigger trip, why not head to South East Asia: tropical climate, bustling cities, relaxing islands and a chance to see a completely different part of the world. Although the airfares for these honeymoon destinations are expensive, you do definitely save on the cheaper rates once you arrive in the country. So don’t rule out going for something more exotic until you’ve done your research! 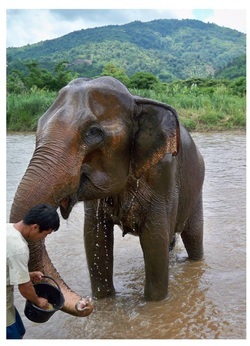 In Thailand you could volunteer at an elephant sanctuary. Get the chance to help feed and bathe the elephants,while interacting with and observing them in their natural environment. You’ll also be helping support the organisations providing welfare, development and a home for these animals. Then head to Bangkok; soak up this vibrant, busy Asian capital where you can fill your days with temples, street food and lively bars. From here you could head to the coast and spend the rest of your trip relaxing on Thai islands; attending a few full moon parties if that’s your thing or simply relaxing on any number of the stunning beaches; heaven! If you wanted to visit more countries, flights to Malaysia, Vietnam and Cambodia all go from Bangkok. Go trekking through the jungle, take a Vietnamese cooking course, and explore the dazzling beaches. South East Asia has it all. Or if you’re thinking about staying closer to home, why not visit Cornwall for your honeymoon? With serene beaches, coastal walks, and some of the mildest temperatures in the UK Cornwall seems like the perfect place for a romantic getaway. Accommodation options are plentiful with cottages, hotels and even camping options. A honeymoon isn’t complete without a beautiful sunset to gaze upon; and Cornwall will not disappoint. As many of its beaches face west this gives some of the best sunsets in the country. 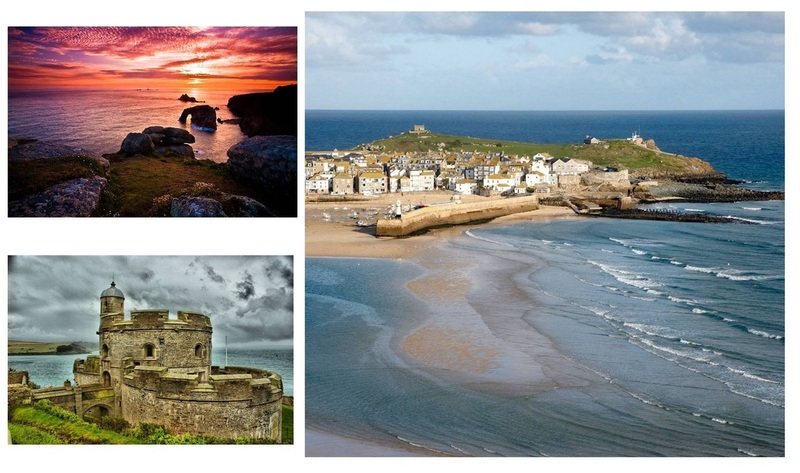 On top of this outstanding scenery Cornwall also has interesting towns to visit such as St.Ives, Penzance and Marazion. Penzance with its abundance of palm trees and gardens full of sub-tropical plants, presents a sure sign that you have arrived somewhere unique. All of this before we even mention Cornwall as a culinary destination, apparently one of Rick Steins favourites with its abundant seafood and of course Cornish pasties and Cream tea! Croatia provides a perfect place for a honeymoon.The Balkans have become increasingly popular in recent years as a cheaper alternative to Mediterranean destinations without compromising on beautiful scenery, glorious weather and stand-out cuisine. Croatia offers a gorgeous mix of Adriatic islands and beaches, fortified Renaissance towns and inland national parks with white-water rafting, hiking and boating on spectacular lakes. Dubrovnik houses a range of luxury honeymoon accommodation and offers a city break while still being able to relax on stunning beaches and take in sea views. Croatia also holds a lot of wineries and it’s oysters are supposedly delicious; perfect honeymoon fare! Italy is full of romantic destinations, especially in the north. Arrive in Rome and take in sensational renaissance architecture, wander the city, relax in gardens and dress up for a night at the opera. 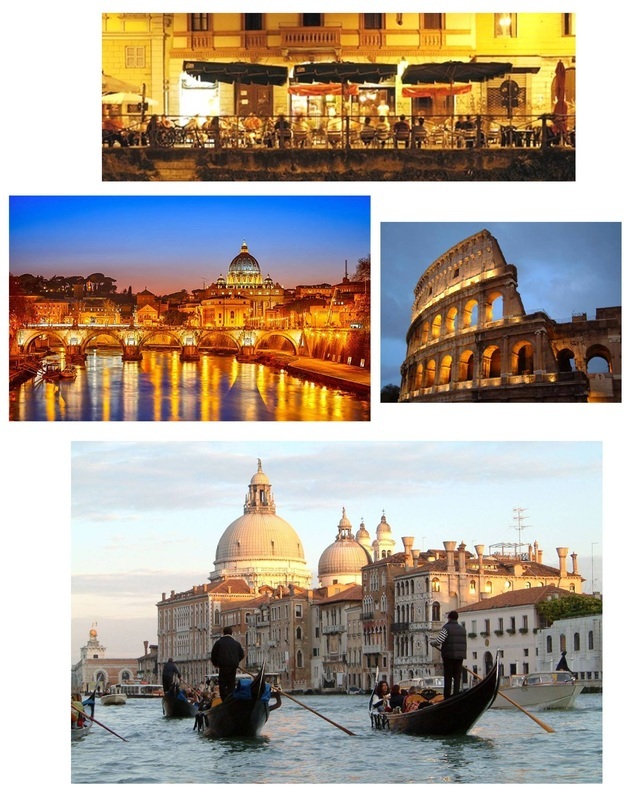 You can then get a train to Florence, the culture capital of Italy. Here you can visit Michalangelos David, take in numerous piazzas and churches; many of which offer free concerts and opera performances throughout the year. Enjoy delicious steak, fantastic wines and wander the Piazza di Santo Spirito, home to Florence’s hippest, liveliest bars and cafés. Aperitivo is a Florence tradition which happens at 7-9 in the evening, dress up to see and be seen at the cities trendiest bars. Extra points if you are mistaken as a local. With your drink you get to eat your fill from a buffet where food ranges from nuts and olives to bruschetta, salami and cheese, via couscous and cold pasta salads. From Florence you can travel by train to Venice; take a tour of the grand canal,soak up the contemporary art scene and savour the best ice cream in the world. The wine will continue to impress and you can even take a day trip to Verona and visit ‘Casa di Giulietta’- Juliet’s house. Be sure to do your own Shakespeare rendition before you return home, priceless!